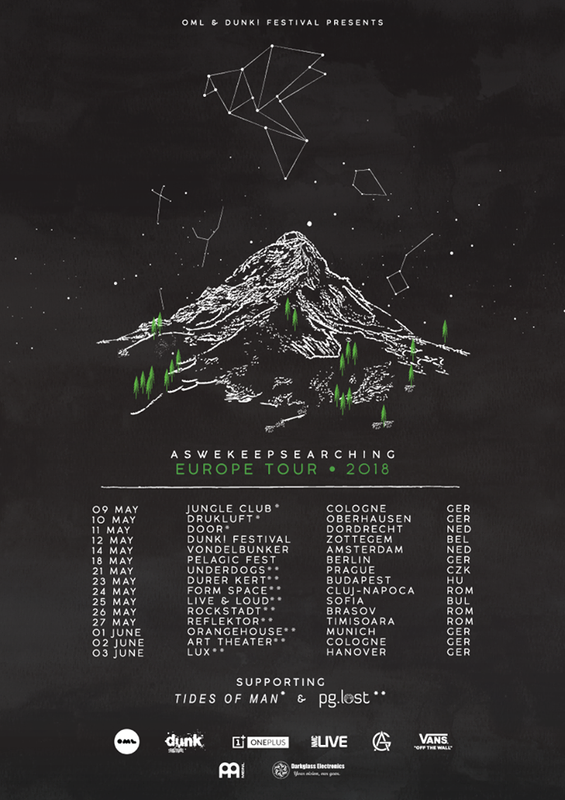 Indian post-rock band aswekeepsearching are to tour Europe for the first time in May and June. The tour is in support the band's stunning LP ZIA, released Summer 2017. The world's only Hindi prog band, aswekeepsearching have given the world a unique and emotional album in ZIA. Acclaimed by Prog Magazine and Kerrang! amongst others, ZIAis lamentative, ethereal, and majestic. Mostly instrumental, partially sung in Hindi, the record is awash with pure aural beauty and deserving of its praise. A band who’ve already toured Russia (watch their tour documentary here), aswekeepsearchinghave played major festivals across India, including all the Bacardi NH7 weekenders, VH1 Supersonic, Mood Indigo, and have shared stages with Steven Wilson, Incubus, Textures, 65daysofstatic, Plini, 65daysofstatic, Tides From Nebula, and many more - a group starting to flex their collective muscles.